Allow the luxuriously dense CamuClay Anti-Aging Clay Masque to delve deep into your pores for sumptuously purified skin. Our revolutionary Fruitscription formula is paired with the natural cleansing, purifying and healing biological activity of bentonite and pure kaolin to relax tired skin. 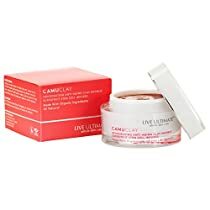 Experience gentle exfoliation, noticeable pore shrinkage and purified skin unlike ever before with CamuClay.